Run processes from web-enabled devices and respond to near real-time alerts and information without calling on IT. Use predefined libraries of functions that extend product capabilities to a variety of applications. Reduces manual intervention and wait times with a user-friendly interface, which enables you to sequence advanced task flows across multiple computing environments and applications. Provides source control and audit trails between development, test and production environments, and helps eliminate unencrypted and hardcoded passwords. 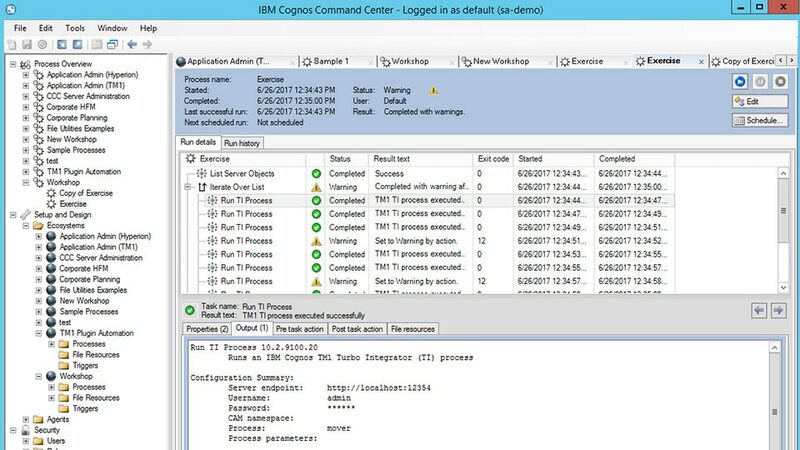 Provides lifecycle management for automated processes between development, test and production environments.